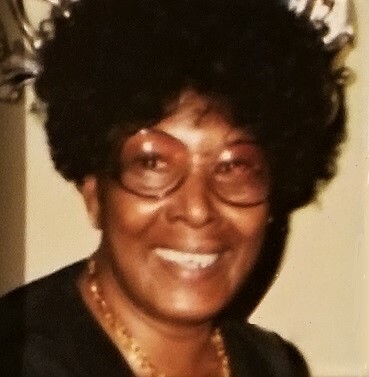 Obituary for Sophenia E. Wilkerson | House of Wheat Funeral Home, Inc.
WILKERSON, Sophenia E., age 87, of Dayton, born to the late James R. and Beansey Wilkerson in Franklin, GA, departed this life Thursday, February 7, 2019. Sophenia grew up in Perry, Georgia and graduated from New Perry High School. She was passionate about the world of beauty and pursued her career goal of being a Cosmetologist. She migrated to Dayton, Ohio in the 1950’s where she ran a successful and thriving business for over 40 years. She gave her life to Christ at an early age and was a faithful member of Corinthian Baptist Church for over 50 years. Sophenia enjoyed cooking, traveling the world, and spending time with her close love ones and taking care of her family. Preceded in death by brother, James Wilkerson; sisters, Esther Mae Lane, Zelma Dawson. She is survived by children, Melanie R. (Charles) Vaughan, Tywanda D. (Timothy) Mooty; grandchildren, Derrik, Anthony, Tyrone and Teon Wilkerson; great grandchild, Deloquan Scott-Wilkerson; devoted niece, Teresa Y. Ecton; brothers-in-law, Nathan Lane, Johnnie Dawson; sister-in-law, Veleria Wilkerson; a host of other relatives and friends. Funeral service will be held 11 am Friday, February 15, 2019 at Corinthian Baptist Church, 700 S. James H. McGee Blvd. Rev. Dr. P.E. Henderson, Jr. officiating. Visitation 9 am at the church until time of service. Family will receive friends one hour prior to service. Interment West Memory Gardens. Arrangements entrusted to House of Wheat Funeral Home, Inc.